The event of Ghadir Khumm (Arabic: حديث الغدير; Persian: رویداد غدیر خم) refers to a sermon delivered by the Islamic prophet Muhammad shortly before his death in 632 CE. In the sermon, attended by over one hundred thousand people, Muhammad announced Ali ibn Abi Talib as his successor. After that announcement, the final verse of the Quran was revealed, proclaiming the perfection of the religion of Islam. The event of Ghadir Khumm occurred while the Muslims were returning from the Farewell Pilgrimage. 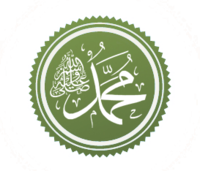 A verse of the Quran was revealed instructing Muhammad to deliver an important message. The Muslims were gathered and Muhammad delivered a lengthy sermon. The speech included the famous statement by Muhammad that "to whomsoever I am Mawla, Ali is also their Mawla;" Muhammad also described Ali with the leadership titles Imam, Ameer, and Khalifah in the lengthy speech. After Muhammad announced Ali as his successor, the following verse of the Quran was revealed: "This day I have perfected your Religion for you: Completed My favor upon you, and have chosen For you Islam as your Religion." This verse (the fourth verse of Surah Maidah, the fifth chapter of the Qur'an) was the last verse of the Quran to be revealed. Towards the end of the sermon, Muhammad instructed the Muslims to pledge allegiance to Ali. This event is considered to mark the completion of Islam. It is also known as the official appointment of Ali as Muhammad's successor. The day's anniversary in the Islamic calendar (18 Dhu al-Hijjah) is celebrated by Muslims (primarily Shia Muslims) as Eid-e-Ghadeer. This page was last edited on 23 April 2019, at 17:43 (UTC).